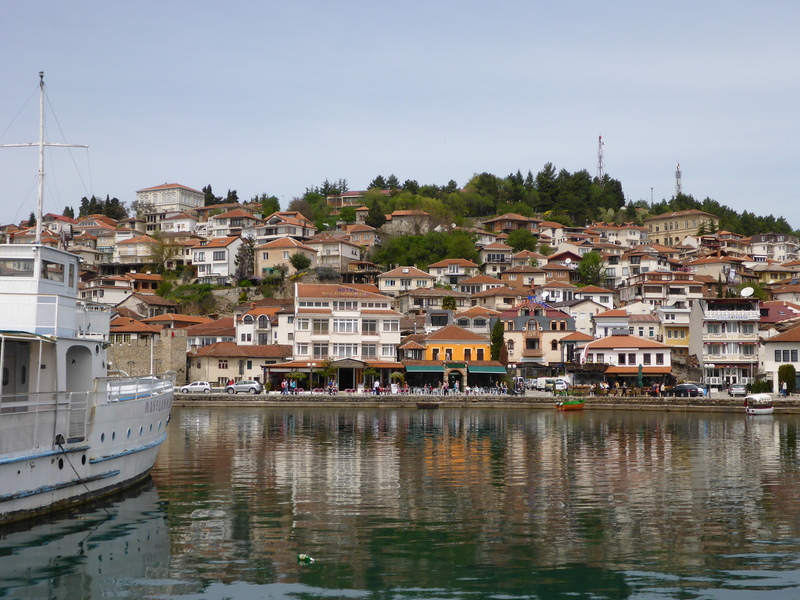 We have not exactly been lucky with the weather along the way, but our luck seem to have changed when we arrived in Ohrid, a beautiful pearl of a city. 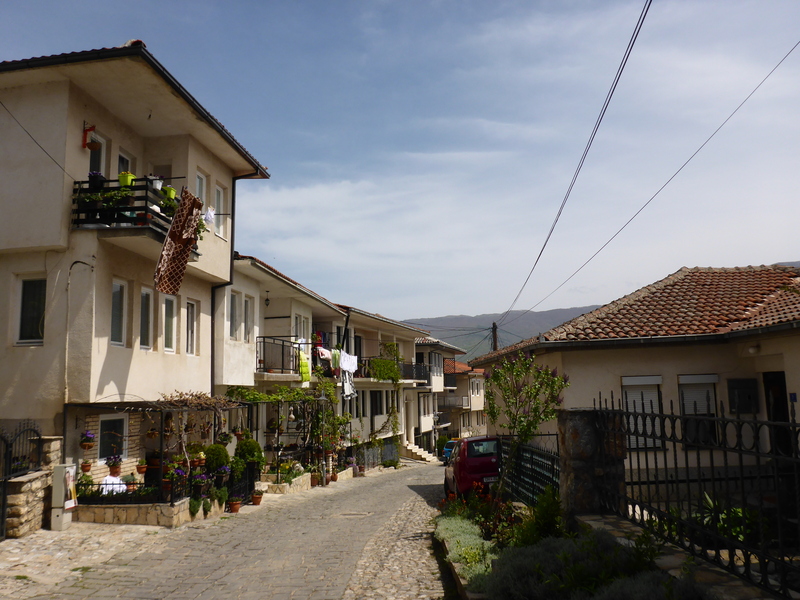 We had booked a room in the old part of town, at Vila Mesokastro. 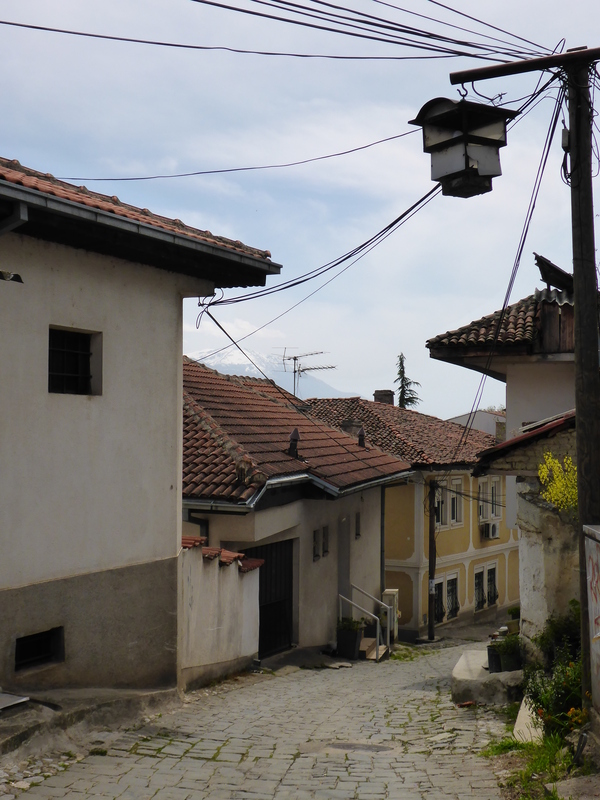 It was greatly located, in a charming narrow cobblestone street. 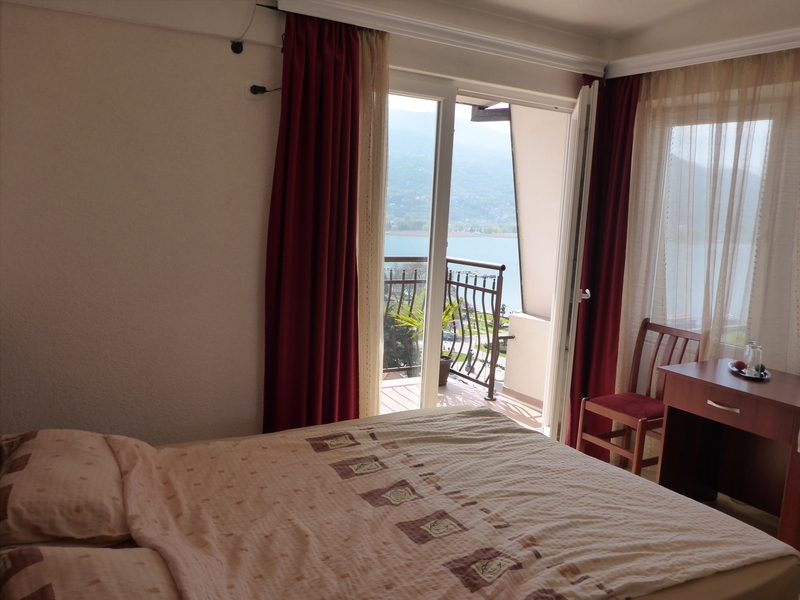 My room had a good-sized terrace with magnificent view of the city, looking over the red roofed houses and the green but snow topped mountains surrounding the harbour by the Ohrid lake. 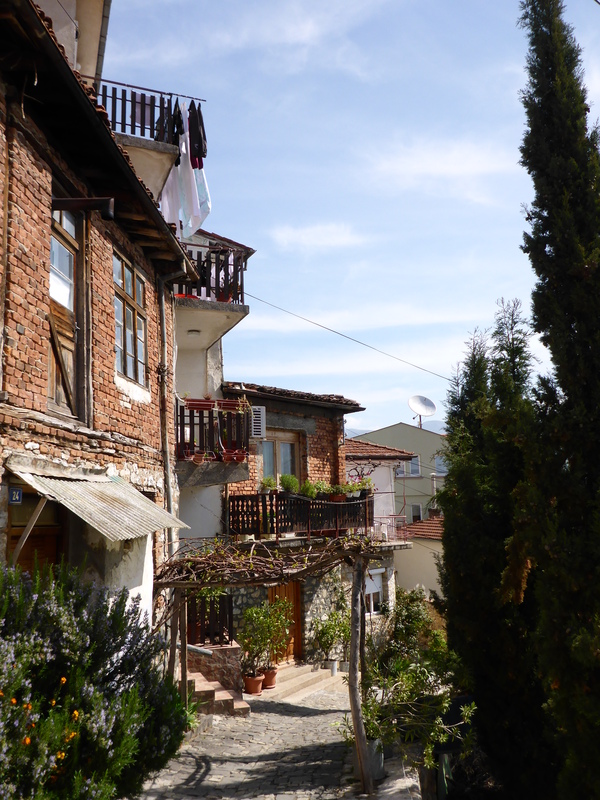 Room #13 at Vila Mesokastro in Ohrid. 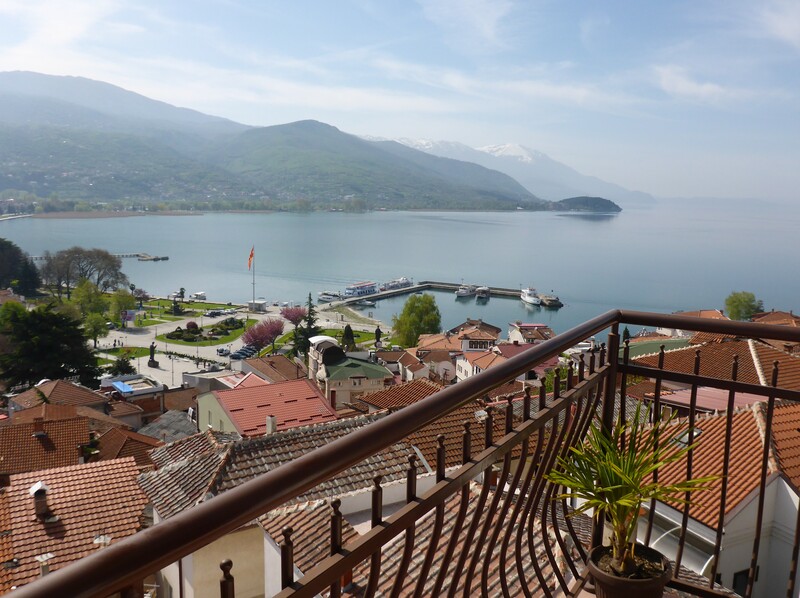 Fantastic view from the room terrace. 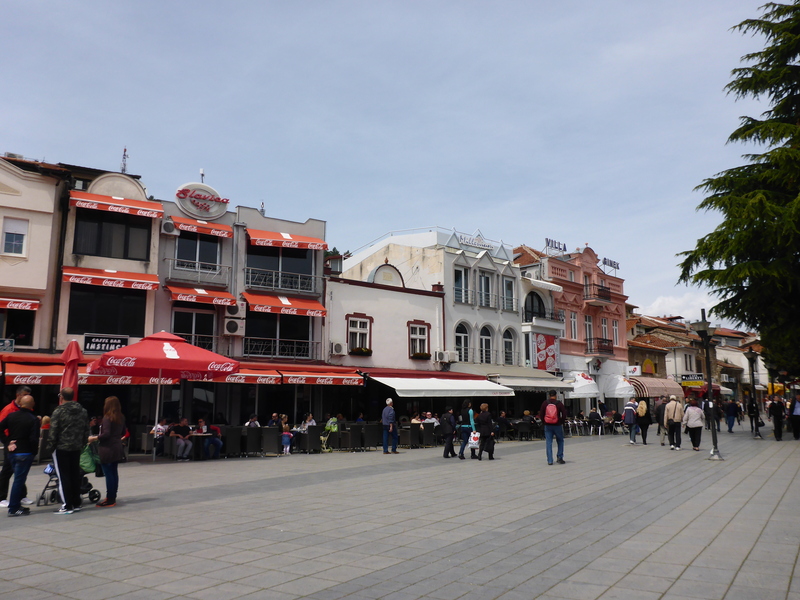 Walking around in the charming city made me want to use the camera repeatedly. 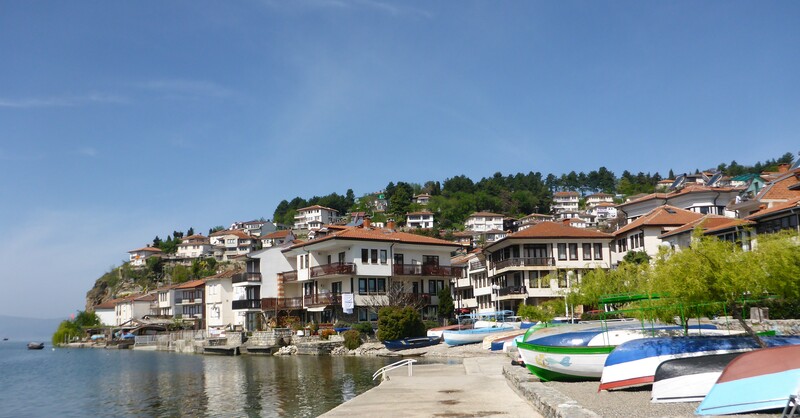 Along the lakeside there are several nice restaurants, some where you could almost dip your toes in the water. 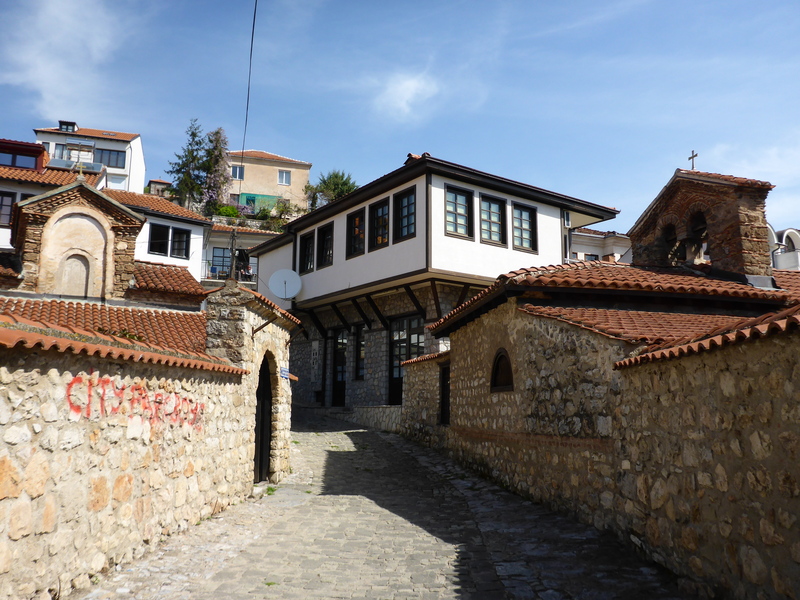 Main street in the old town of Ohrid. 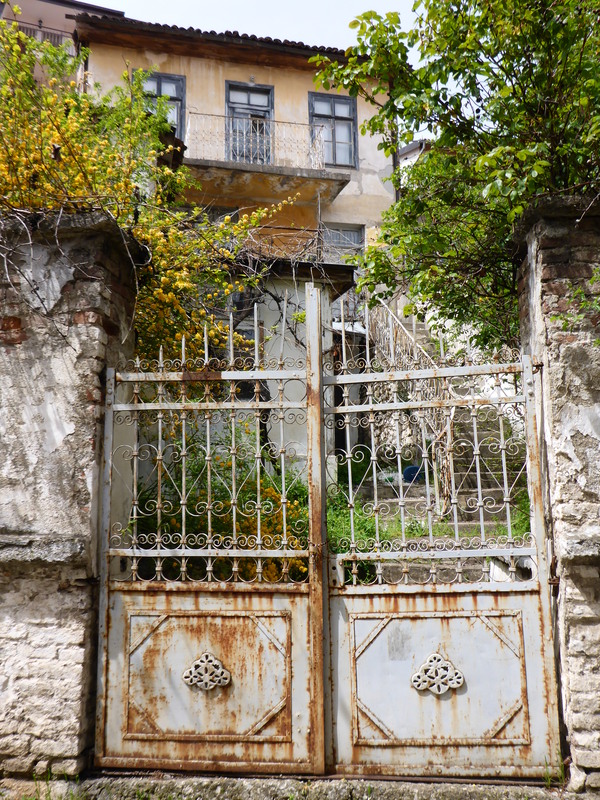 Continuing around the headland, you will reach the Church of St. John. 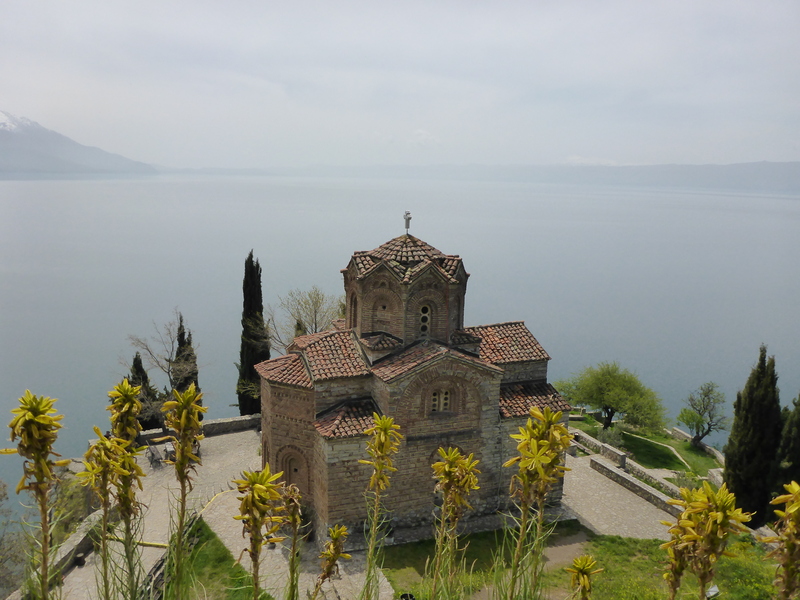 This is an Orthodox church situated on the cliff over the old fishing village Kaneo. 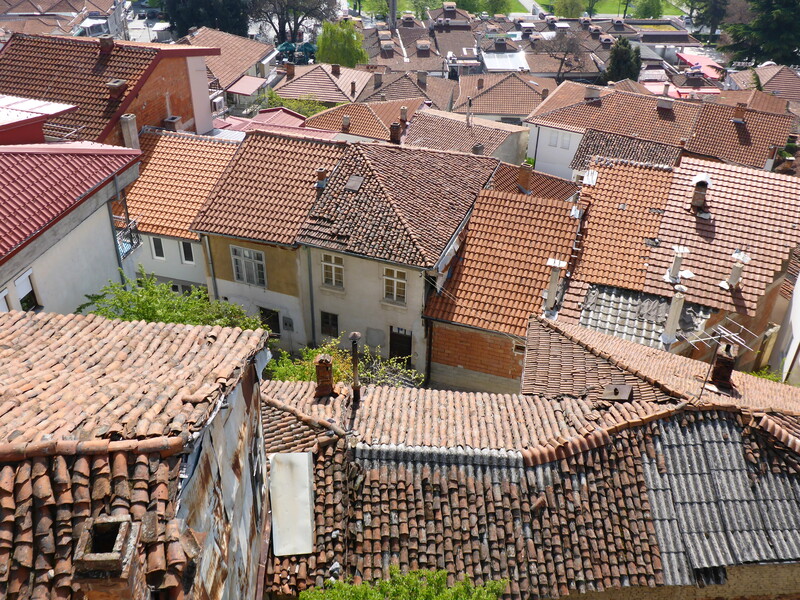 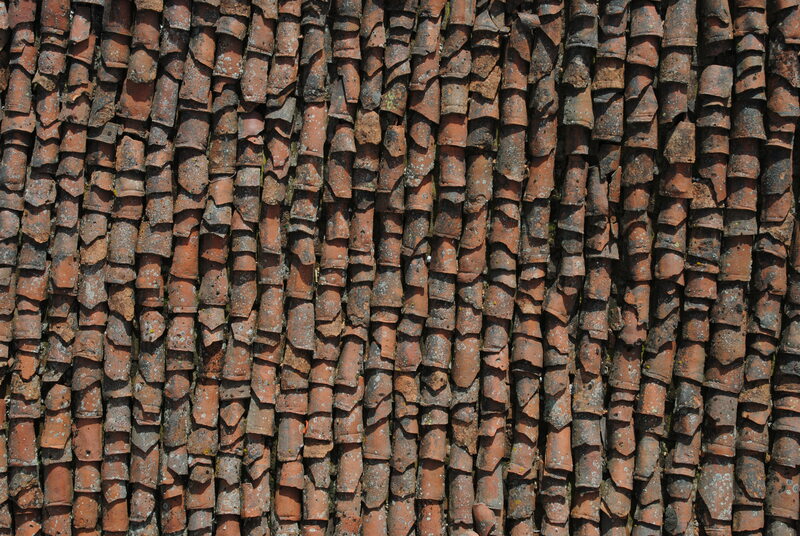 The year of construction is unknown, but it is believed to date back to the 13th century. 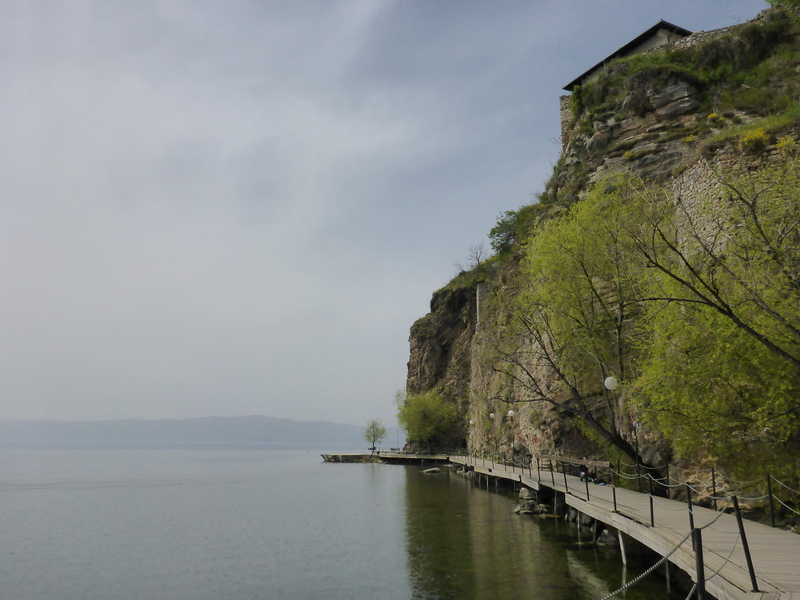 Walk around the headland towards the orthodox church of St. John. 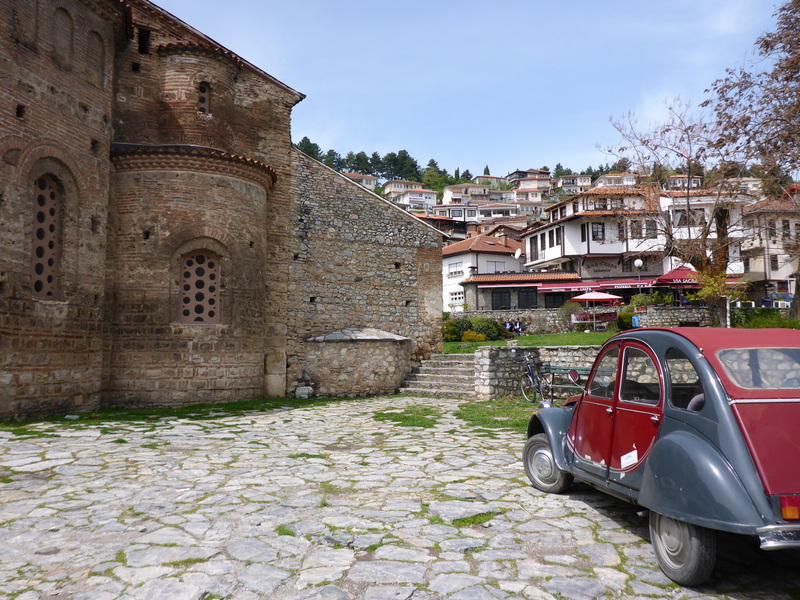 Orthodox Church of St. John. 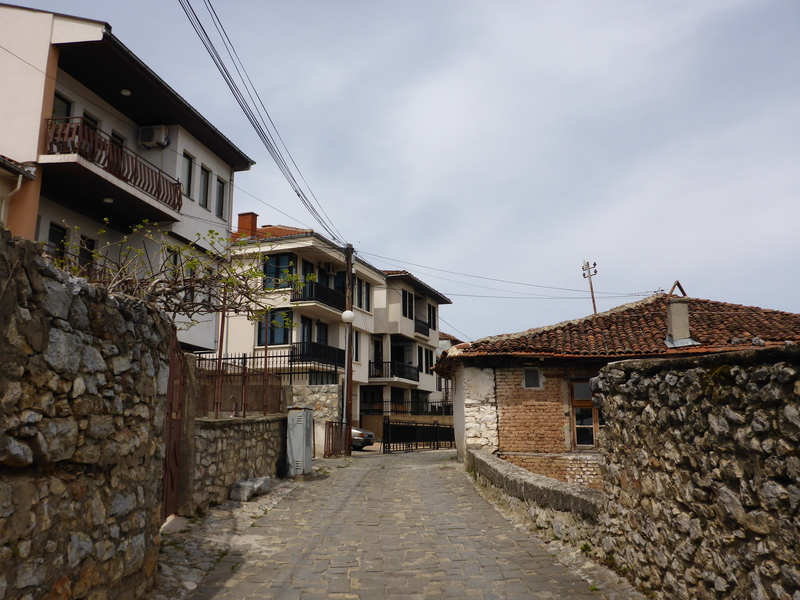 Other sights of interest are the Samuil’s Fortress, the Ancient theater and some other sights both in town and just outside. 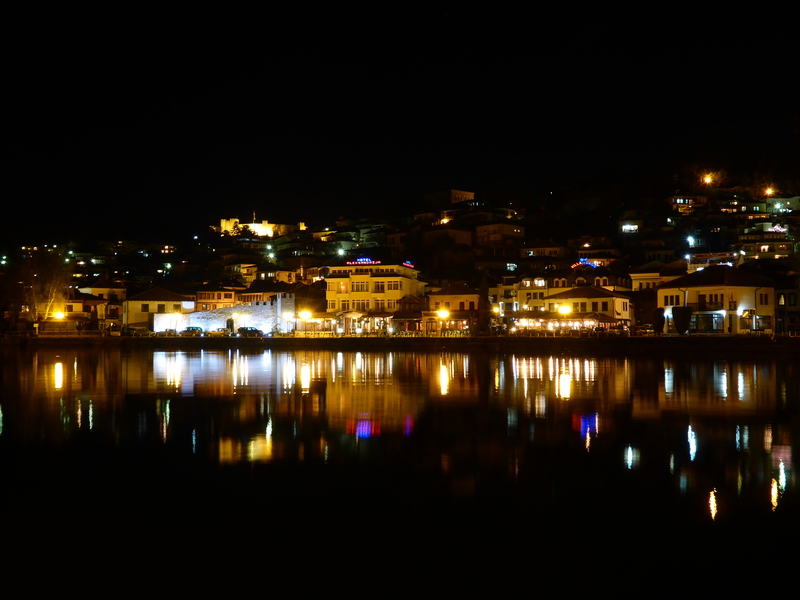 And off course, just walking around, soaking in the atmosphere of this beautiful ancient town by the lake. 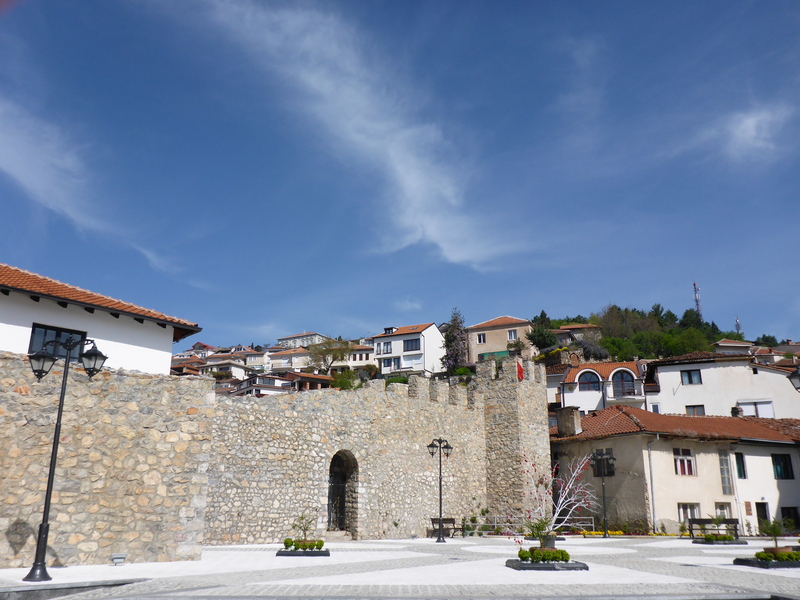 Samuil’s Fortress and the Ancient theater of Ohrid. 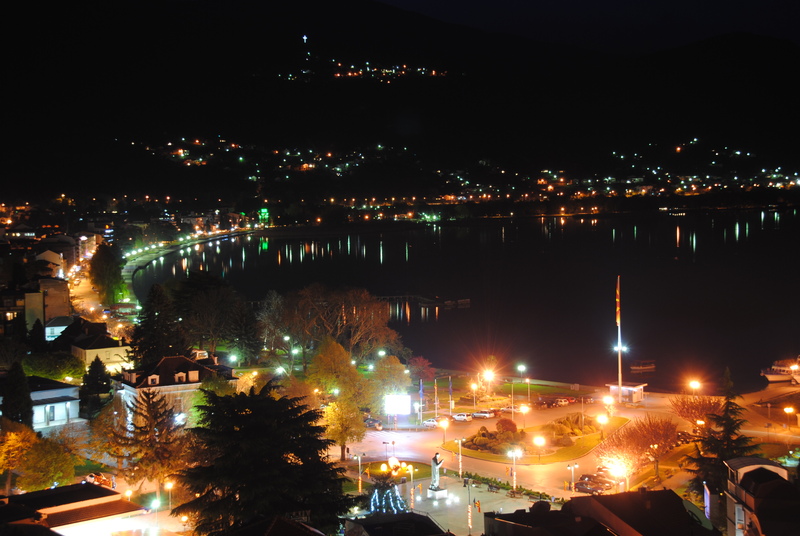 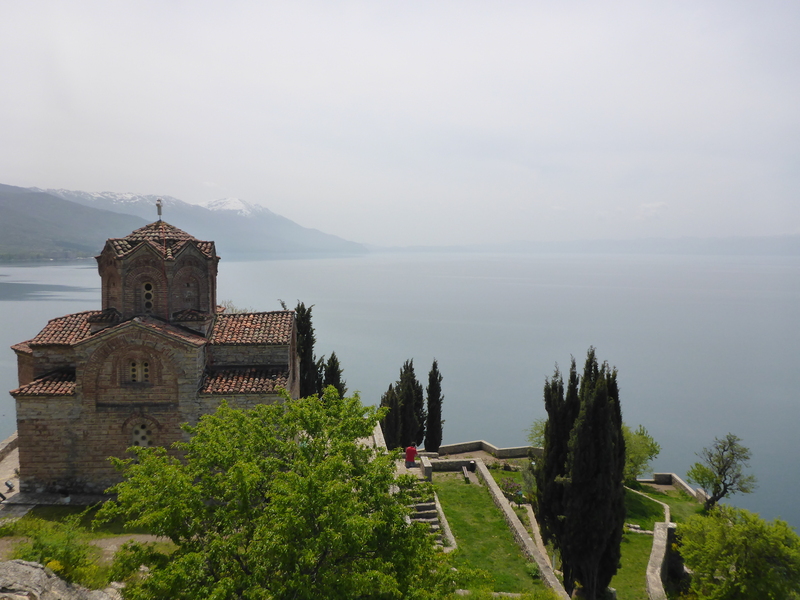 Find more details about Ohrid on Macedonia’s official tourism website.